And the Lord said to her, "Two nations are in your womb, and two kingdoms will separate from your innards, and one kingdom will become mightier than the other kingdom, and the elder will serve the younger"
This well known proclamation at the beginning of this week's Torah reading heralds the birth of two children - Yaakov and Esav - and two nations, Israel and Edom. Over the centuries these two brothers and their progeny have come to represent far more than competing political entities in the minds and writings of Rabbinic authors. They have been ascribed cultural and moral identities as well: Yaakov representing ethical monotheism and the values of Torah Judaism, and Esav representing first idolatrous Babylon, then Rome, and then ultimately western Christianity. Thanks to The Tikvah Fund and the work of Rabbi Mitch Rocklin, I've had the opportunity over the past few days to think about the relationship between Jews and the West - between Judaism and the Western Intellectual Tradition - and question my own assumptions both as an American Jew and as a Modern Orthodox educator. The essence of Esav is to appear righteous on the outside while being internally repulsive (much like a pig that has all external signs of kashrut, yet lacks the internal requirements). The Roman Empire, Christianity and modern Western culture all stem from the impure source of Esav. From the time the Roman Empire adopted Christianity, this dogma was imposed throughout the world, eventually becoming the foundation for what is now Western civilization. Beginning as a breakaway Hebrew sect, Christianity grew in influence and ultimately dominated most of the civilized world. Through powerful vehicles, such as the Roman Legion and later the Crusades, this poisoned doctrine was spread throughout the globe. By abandoning the mitzvot of HaShem's Torah, Christianity enshrouded the world in a seemingly legitimate offshoot of idol worship. While superficially imitating the Torah's sense of values, Christianity actually led the world further away from a true connection to G-d. Under a guise of false righteousness, this synthetic religion demanded from humanity an unnatural level of saintliness, repressing Man's basic character traits, and breeding a culture of guilt and forbidden desires which built up inside of Western society until finally exploding. 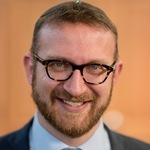 What I have recently come to appreciate, however, is that within the world of Modern Orthodoxy itself, amongst those who have a valued place for the great ideas of the West within their worldview as committed Jews, there are at least two fundamentally different lenses through which to view the nature of this relationship. There are those for whom Judaism and Western Thought are two distinct bodies of knowledge or two distinct ways of viewing the world. At times there is confluence between the two. At times influence extends from one to the other. And at times the two collide in bitter conflict and clash. What is undeniable, though, is that there is an ongoing conversation between the two that stretches over two millennia and that mining the depths of that dialogue can produce profound insight into our understanding of Torah, our understanding of the Western Cannon, our identity as Jews, and our identity as contributing members of Western society. Western Civilization was born in the synthesis between Athens and Jerusalem brought about by Pauline Christianity and the conversion of Emperor Constantine in 312, turning a small and often persecuted sect into the official religion of the Roman Empire. It was an astonishing, improbable event and it eventually transformed the world. Christendom drew its philosophy, science and art from Greece, its religion from Israel. But from the outset it contained a hairline fracture that would not become a structural weakness until the seventeenth century. It consisted in this, that though Christians encountered philosophy, science and art in their original Greek, they experienced the religion of their founder in translation. So, although Rabbi Sacks sees Judaism as part of what gave rise to the West, when properly perceived Hellenism and Hebraism are strange bedfellows in his eyes whom the Enlightenment ultimately, and rightfully,set back apart. They complement each other. They both have value in their own right. But they represent "different spheres of discourse" and ought to be regarded as such. There is, however, another view. There are those for whom the notion of a conversation between "Torah and Western Thought" is akin to talking to oneself. That is, while the Western Cannon undoubtedly includes works and ideas that move far beyond those of Judaism, the latter is so intrinsically woven into the very essence of Western ideas that to extricate Judaism and Jewish thought from the intellectual tradition of the West is to remove a vital organ from a patient and still talk of a functioning body. Without one, the other couldn't possibly exist. Thus to be an educated Westerner is to understand the basics of Judaism and to be an educated Jew is to understand Judaism's role in forming the West. Interesting as this distinction may be on a theoretical level, I believe there may be more at stake than mere historical constructs. I think that the approach one takes in this debate might well impact on some of the most critical questions in Modern Orthodox ideology, identity, and education. Is the "Judeo-Christian tradition" something we embrace as Modern Orthodox Jews or dismiss as the invention of post-Enlightenment Christianity? Do we study the West to better understand our surroundings, our experiences, God, or ourselves? Is Western thought something which the Syrian and Iraqi Jew ought to pursue just the same as the Jew from England and the United States? What about an Israeli Jew? As Orthodox Jews do we feel a sense of ownership and pride for a tradition largely informed by Biblical ideas or do we see it as distant and somewhat foreign given its relative deafness to the hundreds of years of Jewish commentary which followed? As Jewish educators ought we to be insisting on a classical curriculum because the great texts of the West are part and parcel of our heritage as Jews or do we introduce them selectively and cautiously once students are already steeped in the distinctive heritage which is truly their own? And even if we as American Jewish educators feel strongly about exposing our students to the classics, should educators in Israel's Dati Leumi schools include Chaucer and Dickens as part of their curriculum as well? If forced to choose due to constraints on time, ought Modern Orthodox American Religious Zionist schools favor Keates and Lewis over Bialik and Peretz? Herodotus and Homer over HaLevi and HaKalir? Ought we to emphasize the confluence between the logic and rigor of the halakhic sugya and that of the great works of scholastic theology and philosophy or are we to accord similarly sacred space for the decidedly non-Western homiletics of aggadah and kabbalah? It seems, therefore, that even in the camp where the proverbial Yaakov and Esav have long ago laid down their swords and where their embrace is no longer seen as a conniving bite to the neck, the terms of their treaty are still subject to debate and the wrestling match over the essence of their identities continues on.